Since 2012, the research group has been very active and has organized a number of different events including: five international conferences, two academic seminars, five classical music concerts and a variety of outreach activities, all of which have been widely reported on in the media (press, radio, television). To mark the bicentenary year of Richard Wagner´s birth, the research group RECEPTION along with the Spanish Goethe Society hosted the International Conference “The Reception of Richard Wagner in Western Culture” on June 3rdand 4th2013. The contributions to the conference examined the reception of his work in music, his impact on literature and cinema, his presence in western culture, as well as the reception of Wagnerian aesthetics in music, literature, cinema and the philosophy of visual arts. The conference was organized with the collaboration of the University of Huddersfield. Different aspects of the reception of Roberto Gerhard’s work were analyzed during the congress. In keeping with events all around the world, the RECEPTION group commemorated the first Centenary of the First World War. The conference brought together international specialists who discussed the interaction between war and reception and analyzed the impact that the Great War had on culture and especially on literature and music. 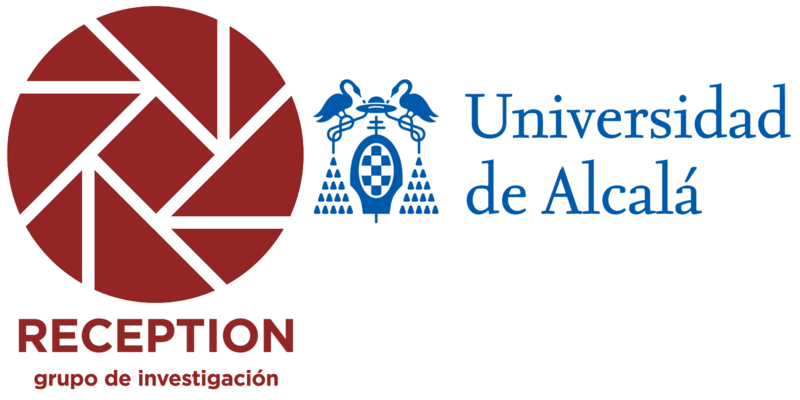 On the occasion of the fourth centenary of the death of Cervantes, the research group RECEPTION organized a conference with international experts to analyze the impact of Alcalá de Henares’ most famous son on 20thand 21stcentury culture. The conference took place in the imposing setting of the Rectorate of the Universidad de Alcalá from October 5thto 7th, coinciding with Cervantes Week. The conference analyzed the reception of the myths and legends present in his work during the 20thand 21stcenturies. The conference examined the increasing presence of Germanic myths in audiovisual media, with a special focus on films, TV series, comics and video games. The reception of these myths in opera or theatre was also discussed, as well as their impact on contemporary art, which also merges image and sound in happenings, installations or performances. “Dance Music in Cervantes’ Time/La música de danza en los tiempos de Cervantes”. Chamber music group of the Universidad de Alcalá. Pablo Gastaminza (conductor), Marco Moreno (flutes and percussion), Mercedes López (violin) and Yolanda Barrero (dance). Chapel of San Ildefonso, Alcalá de Henares on 6th October 2016. “Commemorative Concert for the Centenary of the First World War – War and Reception Conference”. Performed by the string quartet – Leipziger Streichquartett and the soprano Christiane Oelze, Germany. Music Room of the Universidad de Alcalá, on 8thOctober 2014. Concert “Bicentenary Richard Wagner”, performed by the Orchestra of the Universidad of Alcalá – International Conference “The reception of Richard Wagner in the western culture/ Richard Wagner-Rezeption in der abendländischen Kultur, 4thto 5thJune 2013.